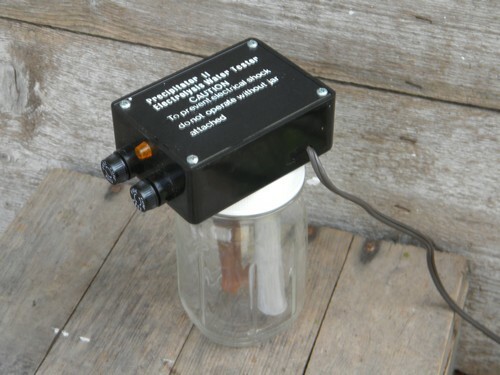 Precipitator II water tester. 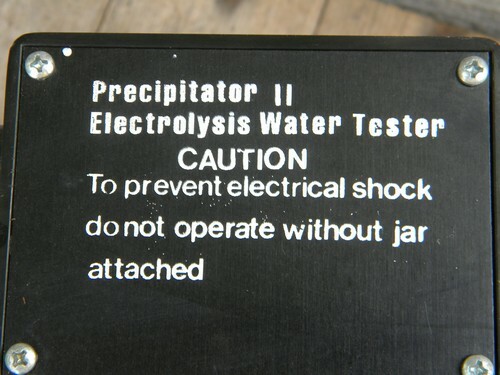 This has a glass pint mason jar and you pour a water sample into the jar and turn the tester on and it uses electrical current to break the H2O molecule down into hydrogen and oxygen leaving behind whatever else is in the water. We tested it and it works.